Connection has been a core function of humanity’s existence. We need connections to communicate and to exchange knowledge and ideas. 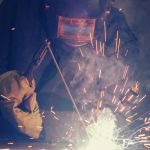 Advances in technological innovations today make connections so much easier to establish and maintain. However, in the context of the Pacific and Australia, there is a huge disparity in how these technological innovations are deployed among Pacific Islands countries and a more advanced Australia. I would like to refer to this disparity as the digital divide. Bridging the digital divide becomes a must and Australia has seen the importance of not leaving Pacific Islands countries behind. 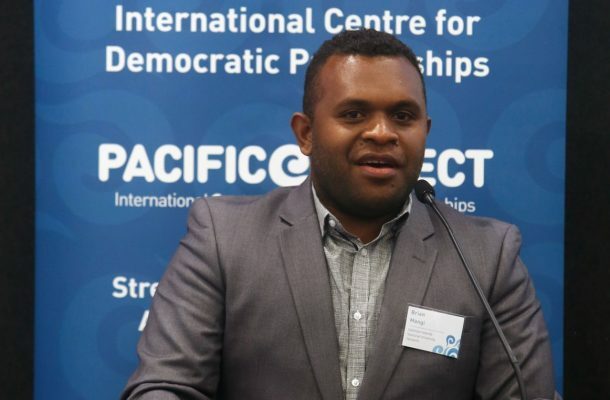 Through the International Center for Democratic Partnerships (ICDP) and Global Access Partners (GAP), the Pacific Connect Forum was born. As part of the process, ICDP organized a series of dialogues followed by second track processes. These are intensive dialogue sessions followed by online collaborations to develop projects that are derived out of the dialogues. These topics looks at digital advances that would leverage the work output of different sectors of a given economy. Out of the other dialogue topics and sessions organized, I was fortunate to be invited to The Inaugural Pacific Connect – USP Academic Dialogue, which was co-hosted by ICDP and the University of the South Pacific in Suva, Fiji on 19 June 2018. This dialogue mainly focused on digital capacity building in regional universities, including online education and new efficiencies in information and student management systems through enhanced IT processes and data security. Ten Australian representatives from ten different tertiary institutions discussed opportunities for collaboration around the digital innovation theme with 13 representatives from the University of the South Pacific (USP), Fiji National University, University of Fiji, Solomon Islands National University, National University of Samoa, Australian Pacific Technical Coalition and the World Health Organization. From the dialogues, a total of seven projects were initially identified but further online discussion focused on streamlining these projects to the most viable ones that could be practically implemented at low cost through collaboration within the group. Hence, two projects were identified. The first of them looks at a ‘teach the teacher’ online course in Online Education with an emphasis on delivery through mobile devices. 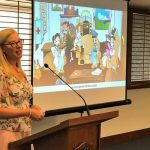 This would assist educators to better adapt existing educational content for online delivery across the Pacific. The second is a project that seeks to create online communities for people in the Pacific engaged in tertiary administration and tertiary administration systems including Learning Management System platforms. This may simply involve connecting people in the Pacific to tertiary networks in Australia that already exist. We are pleased that Professor Chandra has agreed for USP to lead the online project through their Centre for Flexible Learning. We will continue discussions around what other resources are needed from within the group to progress. We are also working within the dialogue group to identify options available and which communities would be appropriate for the linkages. I was also fortunate to attend the Inaugural Pacific Connect Forum, under the theme ‘Australia-Pacific Connections for a Digital Future’, which was convened by ICDP and GAP in Sydney on 6 September 2018. This Forum brought together 75? senior government, business, academia and community representatives from the Pacific and Australia to discuss digital connectivity as an ‘enabler of opportunity’ in the Pacific. Extra-curricular sessions that complement the dialogue were also arranged. I went to a couple of them that included visits to the Australian Computer Society’s Innovation Hub and University of Technology Sydney’s Data Arena. I also had the opportunity to take a tour of Western Sydney University’s campuses. The tour started at the Hawkesbury campus, then moved to the Penrith campus and ended at the Paramatta vertical campus. Discussions during this tour focused on how Western Sydney University deploys its data network infrastructure, Learning Management System and Student Management System, and how robustly it serves the different functions of the university. The rewarding part of this tour was getting to learn and gain inspiration from how their network infrastructure and digital platforms better serve the staff and students of the university. Thanks to George Karliychuk who was a very good host and tour guide to Desmond Lee Hang of the National University of Samoa and myself. We were fortunate to meet George at The Inaugural Pacific Connect – USP Academic Dialogue in Suva and have continued the relationship with the support of ICDP. These dialogues, tours and online discussions have forged connections and empowering them through technology helps achieve digital capacity building, enable opportunities, and most importantly, it bridges the digital divide between the Pacific and Australia. Thanks to the International Center for Democratic Partnerships and Global Access Partners for seeing the need to bridge this gap. 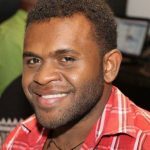 Brian Mangi is an ICT Network Administrator at the Solomon Islands National University. An information technology enthusiast, he previously worked in start-ups and advertising, before starting his own IT consultancy in 2015.